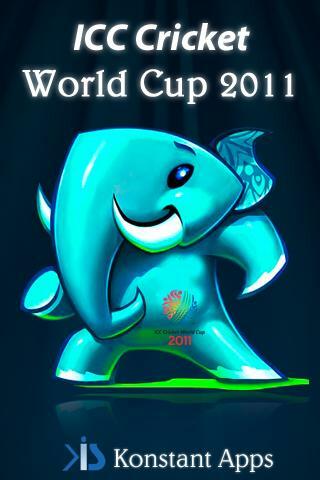 As the #1 Cricket World Cup App for the Android Market, Apppli’s Cricket World Cup 2011 promises cricket addicts the full World Cup experience live on their mobiles. But does it live up to its 5 star ratings? Pros Amongst the cricket apps we have seen so far on Android, this app arguably has the best user interface. It is also very comprehensive in terms of features with live score, commentary, statistics and World Cup trivia. The live notifications for scores and wickets and the ability to add reminders for matches to your calendar are what set it apart from the competition. However the most innovative feature of the app is how it embraces social media, recognising how for the first time Twitter feeds can add zing to the usual stats and trivia. Cons The app would definitely benefit from live video streaming, a feature that Apppli is considering developing for a future release. It is also not available on all Android handsets, requiring Android 2.0+. Get latest scores directly to your Phone. Cricket Live! Catch all the very best from the world of cricket on the Cricket Live! application. Our lightening fast servers ensures that you do not miss even a single action from the cricket field. Cricket Live! is one of the oldest and reliable live cricket score provider application on android market. Cricket Live! application supports scores from live test matches, live one day internationals and live T20 matches. You could also catch up cricket scores from the world’s most happening T20 cricket championships like IPL, champions league etc. The official ESPNcricinfo App brings you the most comprehensive cricket coverage from around the world. The customisable app featuring a special World Cup section includes all of ESPNcricinfo’s in-depth coverage of the game including ball-by-ball commentary, breaking news, incisive opinion pieces from the World’s best cricket writers and audio and video features. The most comprehensive LIVE cricket score visualization app for World Cup. 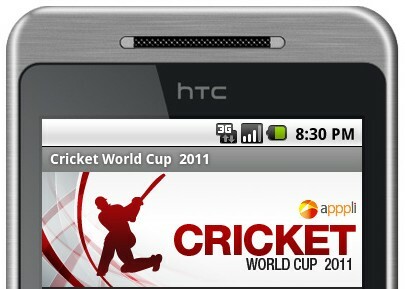 cricitch – The most comprehensive cricket LIVE score visualization app for Android devices from www.cricitch.com . World Cup ODI matches, All international T20, ODI, Twenty20, IT20 and Test Cricket matches can be viewed extensively in this nifty app that provides near real-time feeds. Enjoy Cricket!. We are all set for the tenth ICC cricket cup 2011 hosted by three South Asian Test cricket playing countries: India,Sri Lanka and Bangladesh. Catch Live Updates and track all matches schedule with related stats and news through this application. The dream application for cricket fans, Enjoy every moment of match. Cool list of android apps.